Riveters goaltender Nana Fujimoto delivered yet another 40-plus save effort to steal a win for New York. By Kyle Scott Clauss·	 11/22/2015, 8:26 p.m.
Just a few weeks into the National Women’s Hockey League’s inaugural season, it’s safe to say the league already has its first bonafide rivalry. And between its New York and Boston franchises, no less—imagine that. 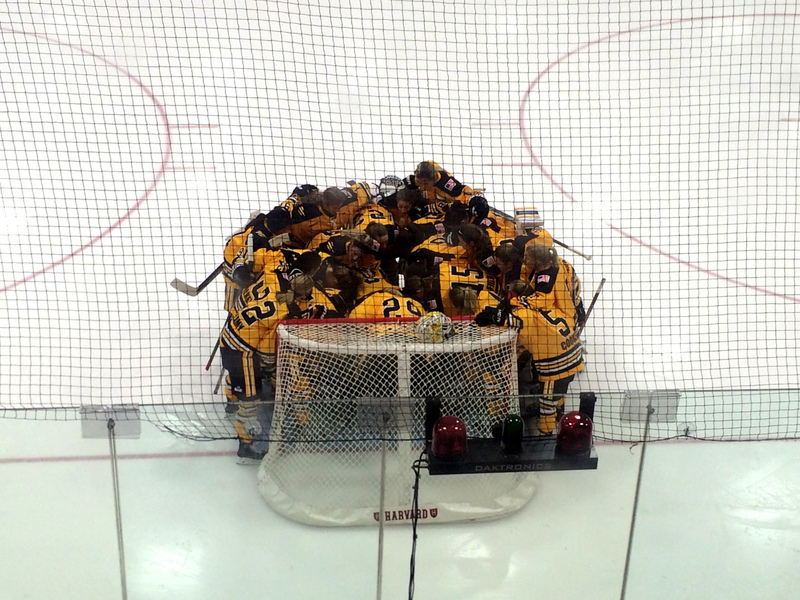 After the Boston Pride spoiled the Riveters’ home opener in Brooklyn last month, New York finally got its revenge Sunday afternoon, sneaking out of the Harvard Bright-Landry Center with a 3-2 win in the Pride’s long-awaited homecoming, despite getting outshot 43-14. The game took a physical tone early and never let up, something that’s become a hallmark of these two teams. The Pride spent much of the first period on their heels after two goals from Wisconsin alums Brooke Ammerman and Madison Packer in the first three minutes put New York ahead early. Boston struggled to move the puck out of the defensive zone, as the Riveters’ bruising style of play forced one turnover after another. A power play goal from fellow Badger Hilary Knight midway through the period cut the deficit in half, only for New York’s Meghan Fardelmann to answer seconds later. Boston thundered back to start the second, with Amanda Pelkey sneaking a power play goal past Nana Fujimoto near the two-minute mark. A spat of penalty trouble kept the Pride cycling in the Riveters’ end, but ultimately failing to emerge with an equalizer. A disallowed goal kicked by Jordan Smelker kept New York’s 3-2 lead intact. Fujimoto stood tall even into the third, even as the Pride continued creating traffic in front of the Sapporo, Japan native. Despite a few chances late, the Riveters would hold on to win their second straight against the Pride, and the second that would require more than 40 saves from Fujimoto. After the game, the Pride signed autographs for a line of fans that stretched halfway around the arena, and included girl’s and women’s hockey players of all ages, all proudly wearing their own team’s gear. The team hopes to deliver them a win next week at Bright-Landry, when they host the Connecticut Whale for the first time.